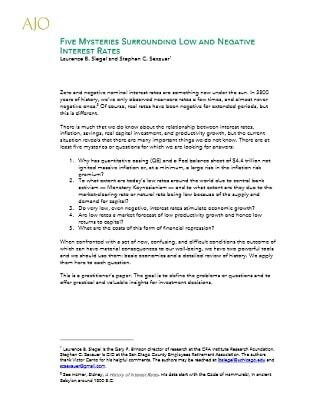 Zero and negative nominal interest rates are something new under the sun. In 3800 years of history, we’ve only observed near-zero rates a few times, and almost never negative ones. Of course, real rates have been negative for extended periods, but this is different.